REQUEST THE NEW OFFICE REFRESHMENT SOLUTION. A FRESH FOOD AND BEVERAGE SOLUTION PERFECTLY SUITED TO TODAY’S WORKPLACE. Filled with the better-for-you and nutritious choices employees are searching for. We handle it all including design, install, restocking, facing, and maintenance. 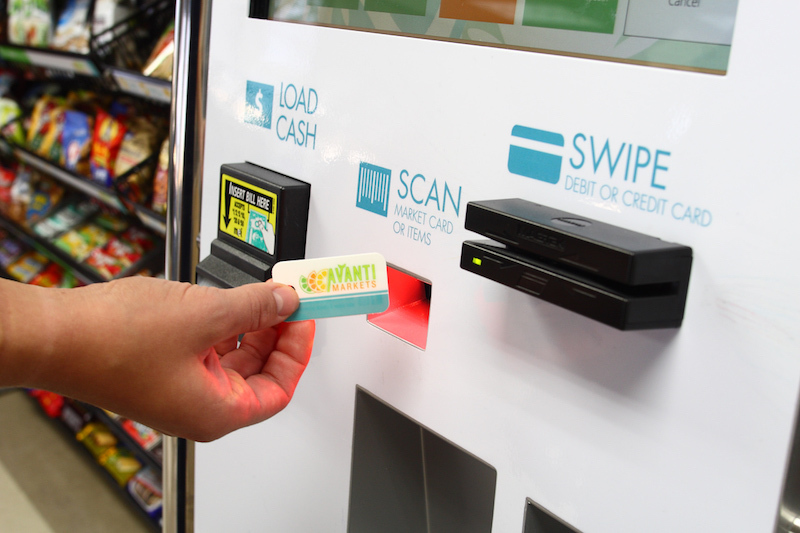 Scan items and pay at the secure, touchscreen self-checkout kiosk. Wow employees with the open concept and huge variety of products. Employees love the variety and open feel of a micro-market. It's a benefit they appreciate and doesn't cost your location any additional time or expense. 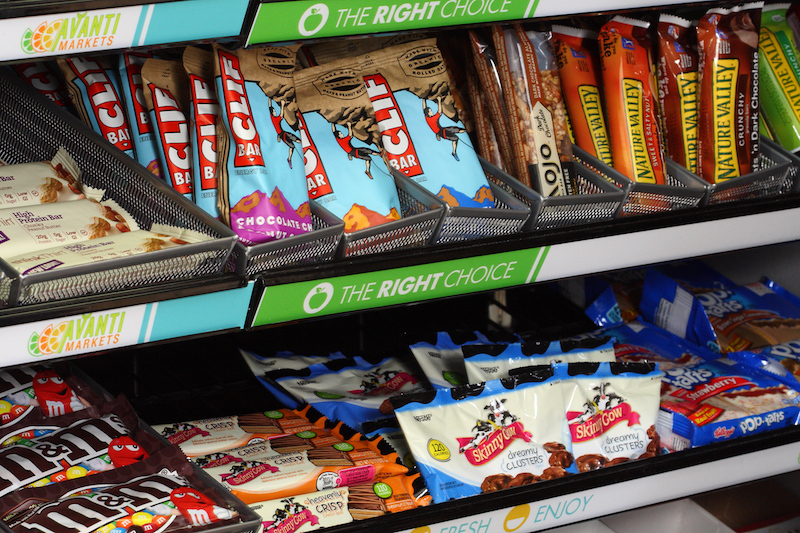 No matter the time or the day, a micro-market offers hundreds of snack, food, and drink options to your employees. Let them shop whenever they need a refuel. 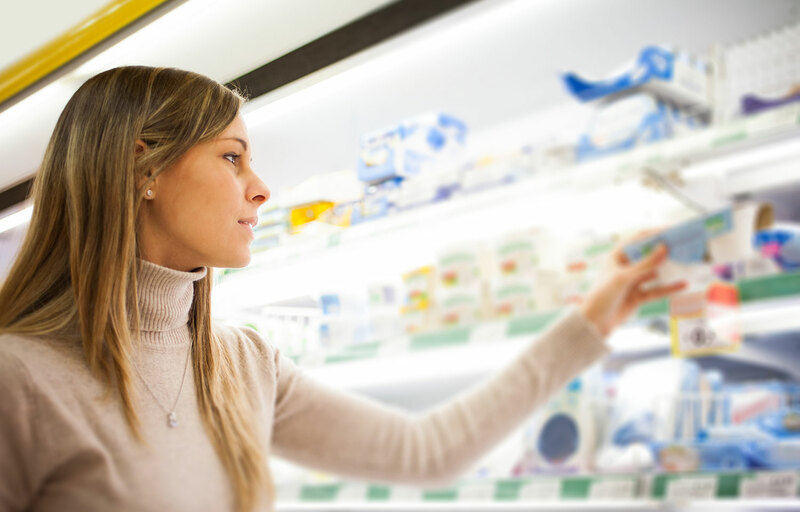 Hundreds of better-for-you products available at your location. The open shelves and glass coolers provide more room for a variety of traditional and nutritious products customized for your Southern Californian and Las Vegas tastes. Micro-markets provide the ultimate “free” perk to employees throughout Southern California and Las Vegas area. 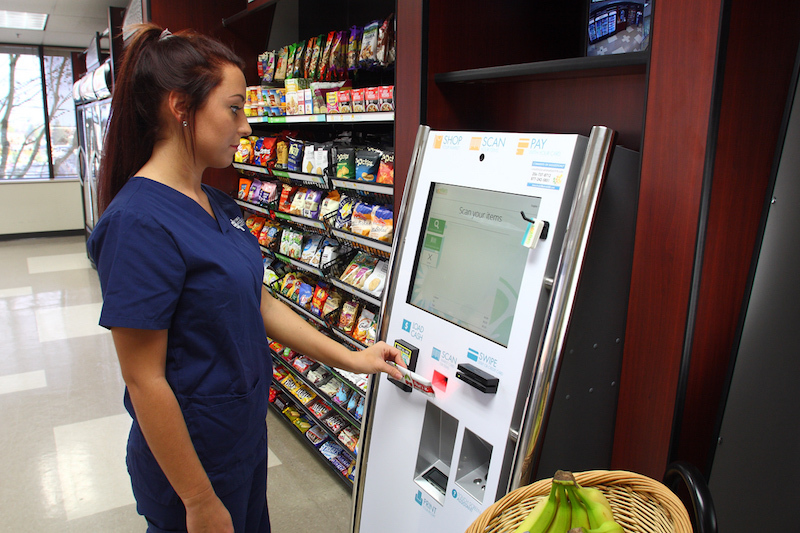 Each micro-market is tailor made to be a mini-convenience store installed directly into your break room. 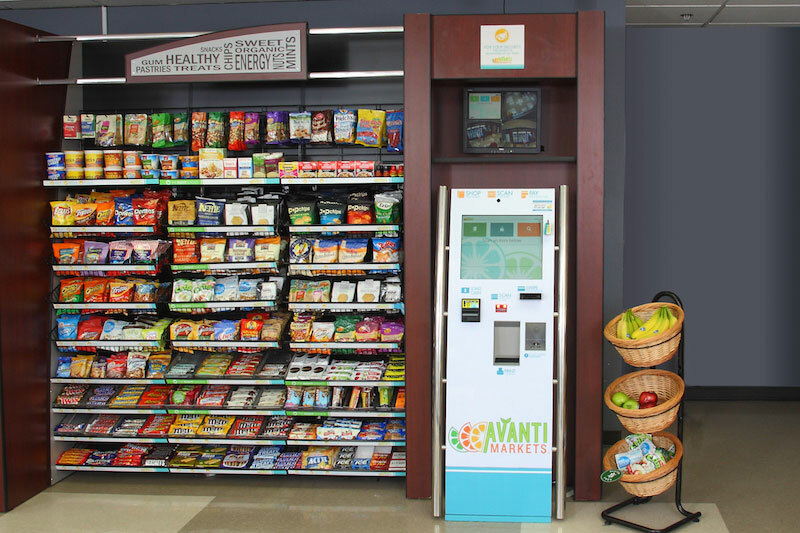 The open concept, appealing graphics, and abundance of fresh food items make the concept a win for employees looking for healthier on-site food and drink options. 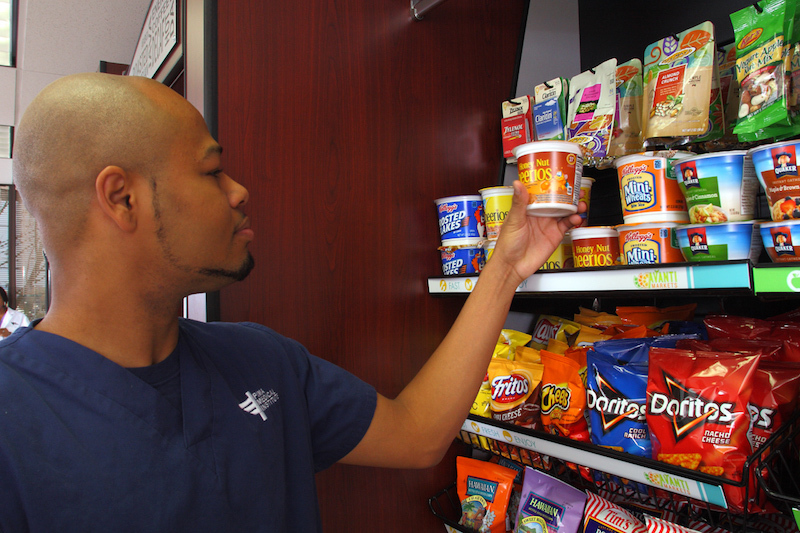 It’s a win for employers too, because First Class Vending handles all costs, inventory stocking, maintenance, management, etc., which makes micro-markets a hassle-free way to give employees alluring food service benefits. 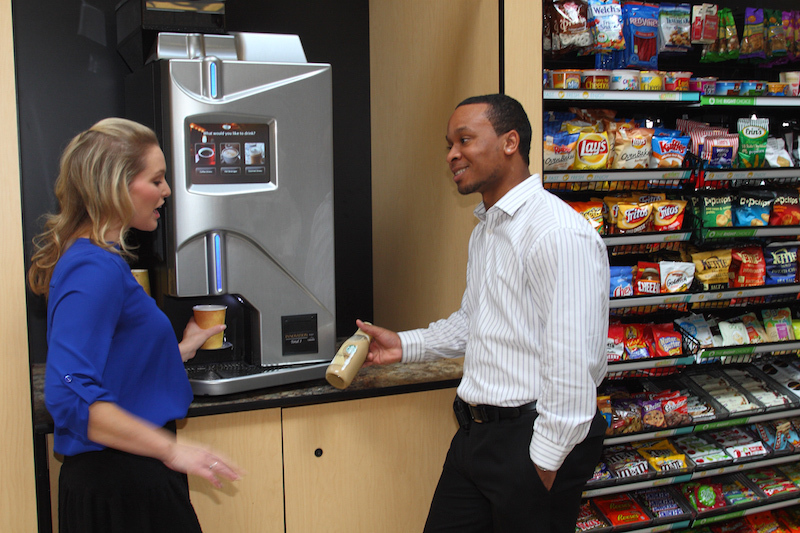 Upgrade to a break room micro-market solution. 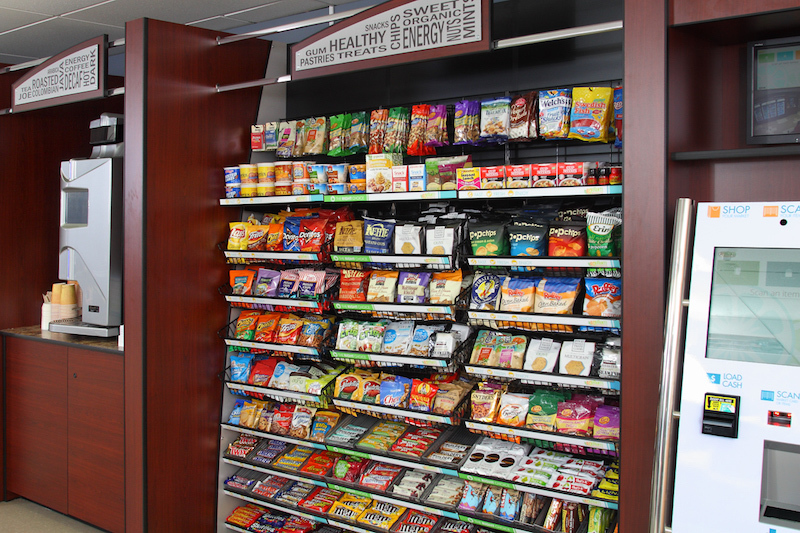 Don’t look any further for the experts in providing the best foods, snacks, and beverages for your Southern California and Las Vegas break room -- you’ve found the professional with First Class Vending at 800.515.8363 or info@firstclassmicromarkets.com. © 2016 First Class Vending. All Rights Reserved. Vending website by VendCentral.